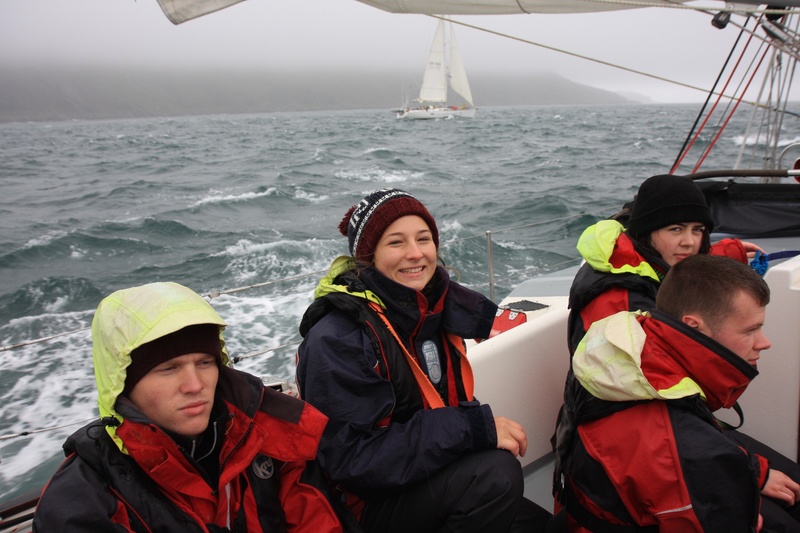 “Its 10pm now”, said the first mate, “what time do you want lights-out?” “10.30” came the response from the crew of senior cadets taking part in the annual Headquarters Air Cadets ‘West Coast Challenge’ offshore sailing expedition. 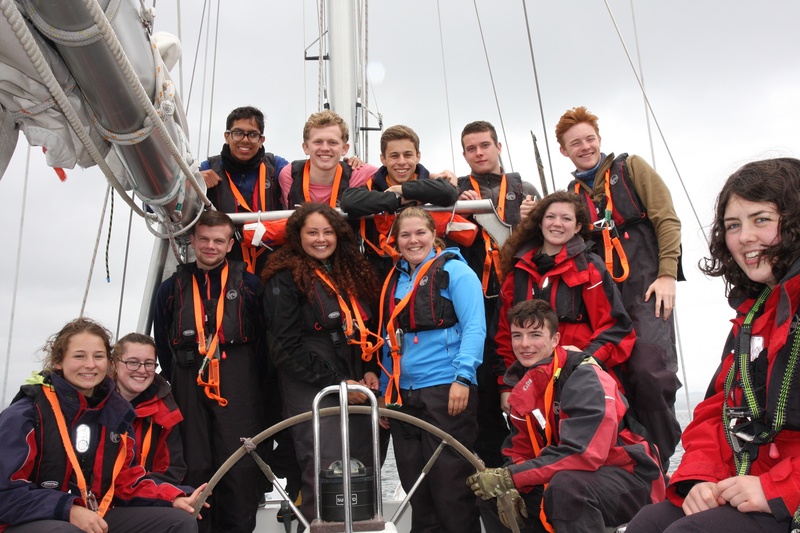 Proof that the week on-board the Ocean Youth Trust Scotland ketch, Alba Venturer, had been demanding and exhausting, but, nevertheless, a thrilling and immensely rewarding, experience. Sailing out of Oban around the Hebridean islands, under the watchful eyes of OYT Scotland sea-staff, the novice sailors soon started to get-to-grips with their unfamiliar nautical environment and began to realise that this was to be no luxury cruise – there is no place for passengers on a sail training vessel! Having sailed with OYT Scotland for over ten years our successive Air Cadet participants have developed a sound reputation with the organisation’s sea-staff volunteers and it wasn’t by chance that OYT stalwart Trevor Farrar was the skipper in-charge supported by first mate Peta Koczy, watch leaders Will Morton and Gillian Young together with Bo’sun Allister Boyle. 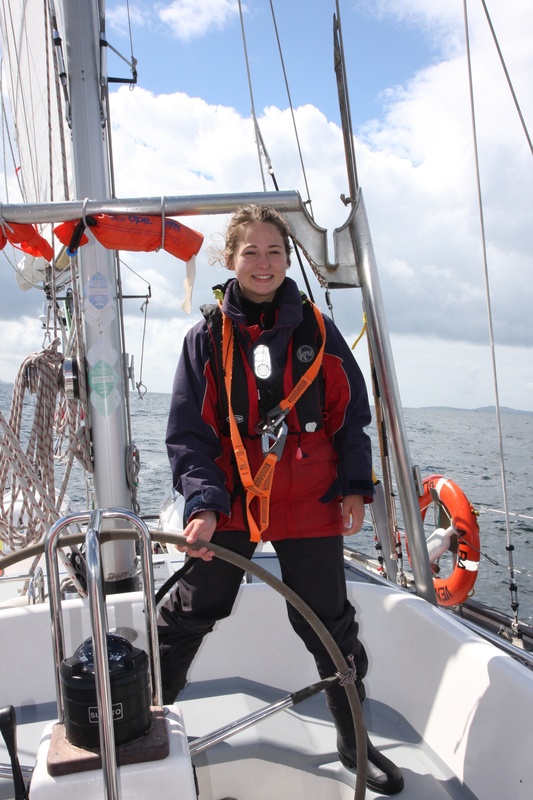 Having sailed as a cadet on the West Coast Challenge some years ago, Gillian returned to OYT Scotland as a volunteer and was now proud to be able to steer other cadets through their experience. As a retired RAF navigator Allister was pleased to be adding an extra tinge of light-blue to this otherwise maritime scene. Completing the crew were Sqn Ldr Mike Blakey from HQAC and Plt Off Charlie Hughes from 1121 (Swadlincote) Sqn. Without the generous funding provided by the Ulysses Trust and the Royal Air Force Charitable Trust, together with the support and cooperation of Ocean Youth Trust Scotland, the experience would just not be possible; a huge thank you to them all. ‪After having learnt the basic ropes of Alba Venturer we were thrown straight into sailing towards the famous Tobermory. My watch alternated between being on deck and down-below every 2 hours. We saw phenomenal scenery, as well as catching a glimpse of the Milky Way. I am looking forward to learning more tomorrow and hopefully encountering some Dolphins. ‪I felt very proud of myself doing a very important job which, if I didn’t do correctly, could have made the whole sail hoist go wrong. ‪Already it has been made apparent to me that I severely underestimated the challenges that we are going to face on this voyage. Working on all parts of the boat has been a massively rewarding experience so far. ‪We set out at 0800 hours this morning from Tobermory sailing towards Kyle of Lochalsh. However, due to the weather and wind direction, plans changed and we headed for Mallaig instead. I am feeling incredibly happy with everything we have achieved so far despite the seasickness most of us have encountered; we even managed to get a shower on the mainland! Despite it only being day 2 we have already sailed 80 miles. ‪This morning we set off sailing at 1000 hours heading for the Isle of Coll having spent the night in Mallaig,. 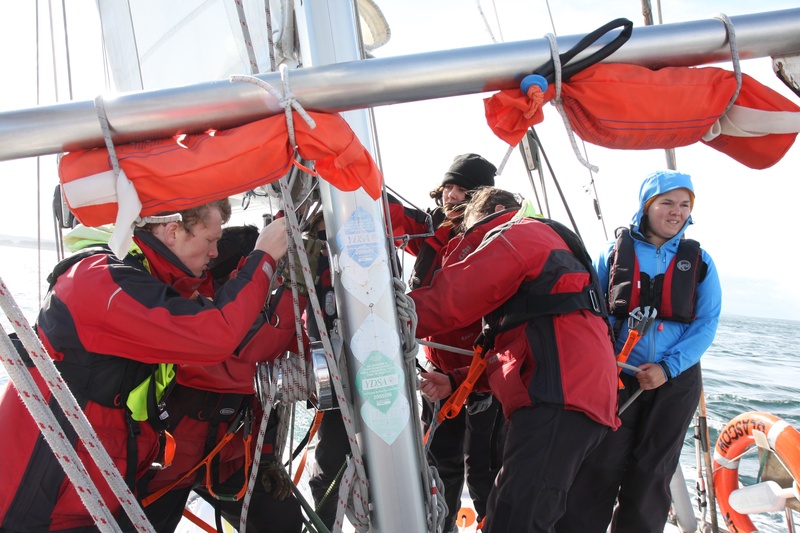 Handling the vessel is becoming far more natural to us all as we are getting used to tacking, changing sails and all other things that are involved in sailing the boat. Today was very challenging as the visibility was incredibly poor, reducing to as little as 0.5 miles at times. Overall I am extremely grateful for the opportunity and I have learnt so much in such a short space of time and I am absolutely loving it! ‪As well as sailing we took part in many other roles on board the boat including cooking and cleaning. Today I started out by helping to clean out the fridge whilst I was off watch. When on watch I was at the helm, steering the boat into port on the Isle of Coll. This was a fantastic and really enjoyable experience! ‪Today was incredible, probably the toughest but the best day yet. Our journey to Ardfern was rather challenging considering the huge waves and the strong winds we had to sail through. However coming out of my comfort zone is what this experience is about and it has made everything so much more fun and has definitely helped me to gain more sailing skills. I couldn’t be more grateful for being here with the amazing people, making amazing memories! ‪Today we set off at 0800 towards Islay. The most memorable part of the day for me was setting a new high speed for the voyage thus far of 9.4 knots! Another highlight was being seasick, just like many of the others, due to the size of the waves. The weather was poor but morale was amazing. Our preferred destination was Islay however the weather changed and the wind increased and changed direction therefore we had to take shelter at Ardfern. My watch had a splendid sing-along during the day to distract people from the abysmal climate. This has been an outstanding experience that I will never forget! I highly recommend this to everyone. I am also extremely grateful for this opportunity and delighted to be here. ‪After a gale hit we were forced to stay in Ardfern. However, we were hardly stuck for things to do as we spent the day working on our RYA Competent Crew qualifications. Although the weather was awful it didn’t stop us from sharpening up our dinghy handling skills. This was followed by an amazing meal of fish and homemade wedges! We then sorted out our plan for Saturday which is to be our Challenge Day. 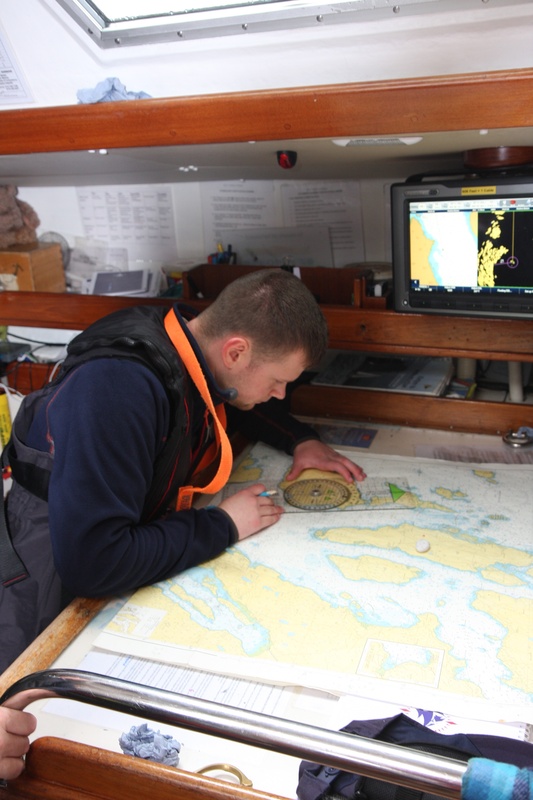 This involved plotting our routes and looking for all of the hazards we might come across throughout the voyage. ‪As challenge day dawned we finally understood the task that was ahead of us as we were to sail 36 miles through some of Scotland’s most challenging seas with only 11 cadets to run the boat under light-touch supervision. I started our first watch as the watch leader and was responsible for managing our team, running the sail hoists and directing all the other tasks. This responsibility weighed heavy but as our voyage progressed we perfected our movements and were soon sailing as a well-seasoned crew. After having lunch at anchor we sailed back to Oban and even managed to sail backwards away from our anchorage! We have had an amazing week and learnt a huge amount! I would recommend this incredible opportunity to anyone who is looking for an exciting and challenging week. ‪Challenge Day!! After 5 days of intensive sail training at sea, the boat was handed to us, the crew, to sail a course pre-planned the night before. This consisted of us hoisting and lowering sails along with maintaining control at the helm. Fighting against the tide and the wind was one of the biggest highlights of my life! With so many aspects to consider it was both challenging and rewarding. We landed back in Oban tonight where we reviewed the trip and the 210 miles we had sailed since the beginning of the week. This trip is the adventure of a lifetime and I would fully recommend it to anyone with even the slightest interest. ‪Saturday was our ‘Challenge day’; the point that a week’s worth of training had been leading up to, the yacht was finally (sort of) in our hands. After hours of planning, choosing routes, checking tides and hoisting sails we were off. We fought the high seas as a unit, in testing conditions which proved, to both our instructors and ourselves, the skills and bonds that we had built throughout the week. Once we’d completed the voyage and tied-up in Oban you could see on everyone’s faces a strong sense of pride and elation but tinged with an undercurrent of sadness that an unforgettable week had come to a close. Report compiled by Sqn Ldr Mike Blakey MBE, HQAC.